BECAUSE THE WORLD IS WAITING FOR WHO YOU ARE BECOMING! We will take a deep dive into alignment, anatomy, the 8 Limb Path, and Ayurveda, and how they relate to living, teaching and practicing yoga. Whether you aspire to teach yoga or not, this Teacher Training will transform you into taking your power, health, well-being and life and molding them into the most fulfilling, purpose driven life you can have. You will take back leadership in your life and within your community. Becoming a certified yoga teacher will develop your confidence and prepare you to inspire others on their own path to physical and spiritual awakening as an impactful instructor. Mission Statement: Teaching mindfulness, divinity within, and oneness with all. My focus is not on the attainment of a perfected physical pose but the practice of opening up hearts to the beauty to be found in each day and in every situation. Debbie’s Values are gratitude, compassion, love, integrity, happiness and lifelong learning. Debbie Dixon Author of “The Path to Freedom Your guide to living the life of your dreams” Is a Life Coach, inspirational speaker and Yoga teacher who stumbled into her first yoga class in 1997 and the spark was almost instantaneous–love at first sight. Having studied and taught yogic philosophy for many years before being formally introduced to the asana, taking her studies to the mat gave her the opportunity to experience with her own body, mind and spirit, the miracles this practice is capable of creating in ones’ life. Her journey into asana began with Ashtanga Yoga and eventually her passion expanded into Hatha, Kundalini and Yin yoga. Nine years ago she taught her first yoga class and shortly after she opened (Seven Hot Yoga) a studio/community she owned and ran for over four years. *Be prepared and given the dialogue, understanding of each asana and their physical/ emotional benefits to the Hatha series and how to intelligently alter this sequence. *A reading list will be provided and you will be expected to read! *Written work and 80% or higher on all tests. *This will be physically demanding and you will be required to take classes as well as observe. All trainees receive a membership for unlimited, free yoga at Spa Eir throughout their program. 2-3 changes of yoga clothes, your yoga mat and practice towel, a water bottle and healthy snacks, a pen, your program journal and workbook (we provide these on your first day). 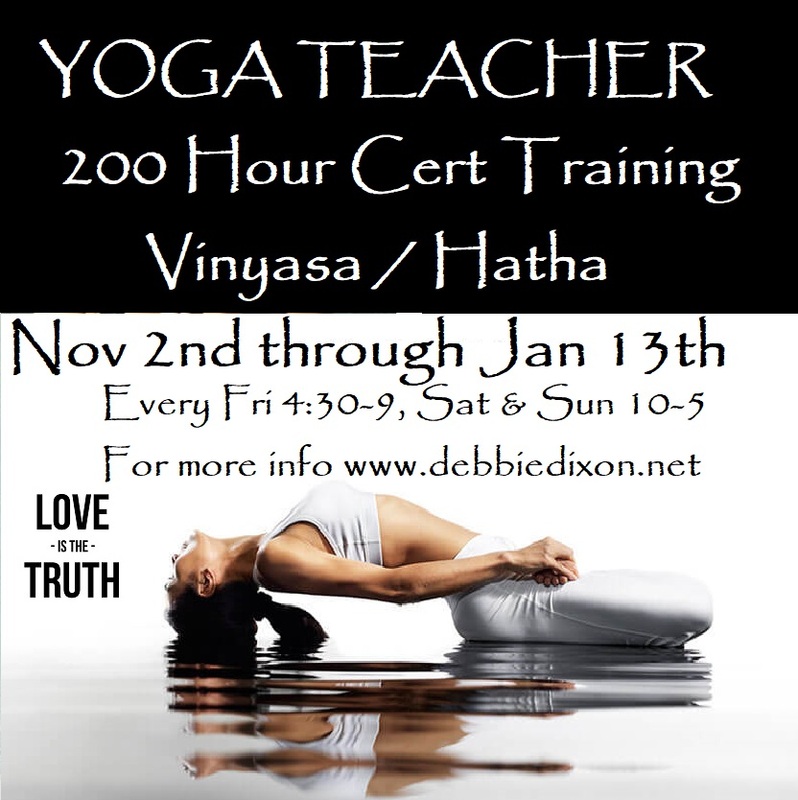 Upon completion of this training, you will be an empowered yoga practitioner with the ability to teach and assist a powerful and effective vinyasa/Hatha yoga class. You will feel confident modifying , the ability to modify or intensifying a practice to connect with all levels of practitioners, and new communication and leadership skills. Teacher Training requires a 100% commitment from you. This means arriving on time to all sessions, speaking straight and listening generously, being coachable in the moment, being curious and open to growth, and participating fully. 100% attendance is required. Any missed hours must be made up before you are eligible to receive certification. All daily sessions begin on time and students are expected to be fully present and prepared.